Dr. Darnell is the Vincent Astor Professor Emeritus at The Rockefeller University. An internationally renowned molecular biologist, James Darnell uses biochemistry and genetic analysis to reveal the fundamental mechanisms of intracellular signaling and gene regulation in animal cells. Dr. Darnell received his M.D. in 1955 from the Washington University School of Medicine. His career has included poliovirus research with Harry Eagle at the National Institute of Allergy and Infectious Diseases, research with Francois Jacob at the Institut Pasteur in Paris and academic appointments at the Massachusetts Institute of Technology, the Albert Einstein College of Medicine and Columbia University. In 1974, Dr. Darnell joined Rockefeller University as Vincent Astor Professor, and from 1990 to 1991 was vice president for academic affairs. He is a member of the National Academy of Sciences, received the 2003 National Medal of Science, and the 2002 Albert Lasker Award for Special Achievement in Medical Science. Dr. Darnell is the originating author of Molecular Cell Biology, a seminal textbook that he co-wrote with David Baltimore and Harvey Lodish. He is a member of the American Academy of Arts and Sciences and a foreign member of the Royal Society and the Royal Swedish Academy of Sciences. Dr. Demetri is a medical oncologist at the Dana-Farber Cancer Institute, where he is director of the Center for Sarcoma and Bone Oncology at Dana-Farber, director of the Ludwig Center at Dana-Farber/Harvard Cancer Center, and executive director for Clinical and Translational Research at the Ludwig Institute for Cancer Research. Dr. Demetri has dedicated his career to translational therapeutics research aimed at using novel drugs to improve the efficacy of existing treatments for solid tumors, including sarcoma and breast cancer. Two examples are the use of Gleevec and Sutent in gastrointestinal stromal tumors. He serves as principal investigator on more than ten active clinical trials in drug development. Dr. Demetri received his MD from Stanford University in 1983, followed by an internal medicine residency and chief residency at the University of Washington Hospital, Seattle, and a fellowship in medical oncology at Dana-Farber in 1989. Dr. Demetri is the founder and editor of Sarcoma.net and received the 2002 Emil J Freirich Award in Clinical Cancer Research from the MD Anderson Cancer Center. 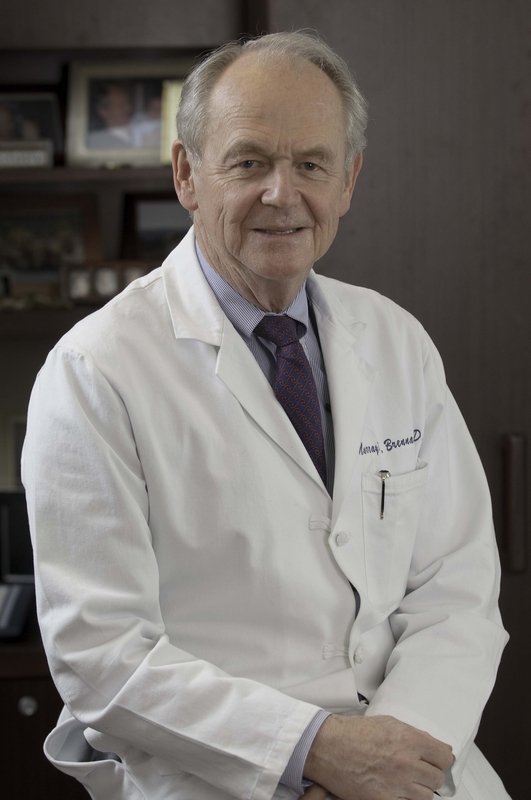 Dr. Brennan is the Vice President of International Programs and Director of the International Center and holds the Benno C. Schmidt Chair in Clinical Oncology at Memorial Sloan-Kettering Cancer Center. He has designed and conducted prospective clinical trials that have produced significant findings for the management of soft tissue sarcoma and peripancreatic cancer. Born in Auckland, New Zealand, Dr. Murray Brennan received a degree in mathematics from the University of New Zealand and a medical degree from the University of Otago in 1964. After residency at the Brigham, Dr. Brennan joined Steven Rosenberg, MD at the National Cancer Institute where he was head of the surgical metabolism section. In 1981, Dr. Brennan joined Memorial Sloan-Kettering Cancer Center as Chief of Gastric and Mixed Tumor Service, and from 1985 to 2006 he held the position of Chairman of the Department of Surgery. In 1995 he was honored with membership in the Institute of Medicine of the National Academy of Sciences and in 2000 with the American College of Surgeons’ highest award, The Distinguished Service Award. Dr. Freeman is the President and Founder of the Ralph Lauren Center for Cancer Care and Prevention in New York City. He is Senior Advisor to the Director of the National Cancer Institute. He is a Professor of Clinical Surgery at Columbia University College of Physicians and Surgeons. Dr. Freeman is the chief architect of the American Cancer Society’s initiative on cancer in the poor and is a leading authority on the interrelationships between race, poverty and cancer. 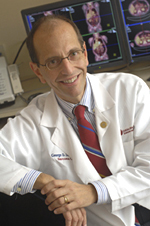 Dr. Freeman is past Chairman of the United States President’s Cancer Panel. He has been appointed to this position for four three-year terms, first by President Bush in 1991 and subsequently by President Clinton in 1994, 1997 and 2000. He is also the pioneer of Patient Navigation, the purpose of which is to eliminate barriers to timely cancer care for poor and uninsured patients. President George W. Bush signed the Patient Navigation and Chronic Disease Prevention Act in 2005 based on this model. Dr. Freeman was born in Washington, D.C. and graduated from the Catholic University of America. He graduated from Howard University Medical School, Washington, D.C. and completed internship and residency in General Surgery at Howard University Hospital where he received the Daniel Hale Williams Award for Outstanding Achievements as Chief Resident. Subsequently he was Senior Resident in Cancer Surgery for three years at Memorial Sloan-Kettering Cancer Center, New York City. Dr. Freeman is a Diplomat of the American Board of Surgery and a Fellow of the American College of Surgeons. He served as National President of the American Cancer Society, 1988-1989. 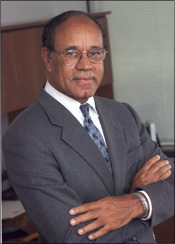 Dr. Freeman received the Mary Lasker Award for Public Service in 2000. David H. Koch is an executive vice president and a board member of Koch Industries, Inc. Mr. Koch, who earned bachelor’s and master’s degrees in chemical engineering from the Massachusetts Institute of Technology, applies that scientific expertise in his other role as chairman of the board and chief executive officer of Koch Chemical Technology Group, LLC, a wholly owned subsidiary of Koch Industries. Prior to joining Koch Industries in 1970, Mr. Koch worked as a research engineer and process design engineer for Amicon Corporation, in Cambridge, Mass. ; Arthur D. Little, Inc., also in Cambridge, Mass. ; and Halcon International, Inc. and its affiliate, the Scientific Design Company in New York City. In addition to his business activities, Mr. Koch has personally pledged and contributed more than $500 million to a wide variety of organizations and programs that further cancer research, enhance medical centers and support educational institutions, as well as programs that sustain arts and cultural institutions. In 2011, the David H. Koch Institute for Integrative Cancer Research was dedicated at MIT. Mr. Koch serves on more than 20 non-profit boards including: National Cancer Advisory Board of the National Cancer Institute; New York-Presbyterian Hospital; Memorial Sloan-Kettering Cancer Center; M.D. Anderson Cancer Center; Rockefeller University; the Whitehead Institute; Cold Spring Harbor Laboratory; Massachusetts Institute of Technology; Johns Hopkins University; The Prostate Cancer Foundation; Aspen Institute. He has been honored by The New York Academy of Medicine for his support of biomedical research, healthcare and education, honored by the Cold Spring Harbor Laboratory’s Double Helix award, and the Memorial Sloan Kettering Cancer Center’s Excellence in Corporate Leadership award. 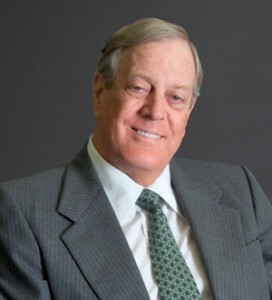 Mr. Koch was born in Wichita, Kansas. He and his wife, Julia, have three children.